Prayer and fasting. Powerful stuff. Together they are spiritual dynamite ignited by power of the Spirit. 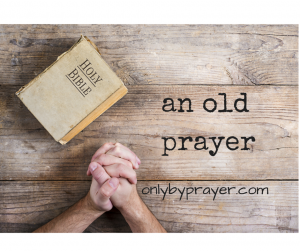 Prayer and fasting are game-changing disciplines for desperate times. Can anyone deny times are desperate? Everyday the news reports escalating chaos and violence—brother against brother, religion against religion, and nation against nation. God has called to be His hands, His feet, and His voice to a lost and wounded world.He has anointed us to speak the hope of the Gospel to every tribe, tongue and nation. Will you answer? Join us August 1-5, for a week of prayer and fasting. Let’s pray for our people, our leaders, and our world to wake up, repent and follow God. Click on the link below and sign up for 5 Days to Fast and Pray. 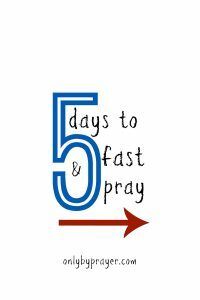 After you sign up, check your email and accept the invitation to join our 5 Days to Fast and Pray Facebook Group. Join us each night at 8:30 Eastern Time to pray via Facebook. There are many types of fasts. We are trusting that you can determine which type of fast is best for you. Some of you may want to fast from desserts for the week. Some of you may undertake a social media fast. Some may fast from one meal a day. The Holy Spirit will show you if you pray about it. The idea is to replace whatever it it you’re fasting from with a prayer time. The fast gives you a greater focus on God and His agenda, rather than our own. Do you only have a few minutes for Bible Study today? Or do you have a few extra minutes and want to feed your soul? 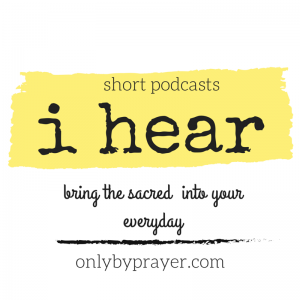 Try one of our new i hear podcasts. Three minutes is all you need to receive a little encouragement and refreshment from God’s word! “Times are changing,” as the saying goes, but God does not change. He is eternal and timeless. When the culture seems to shift like sand underneath our feet, God calls us to hold our ground. Commit today to stand on firm upon the Rock and affect the culture for Christ. It’s time to stand firm. Please leave a comment below on your experience. Nora is my text friend. You probably have a text friend. Text friends (a.k.a. virtual friends) are people with whom we share our lives, but due to conditions and circumstances we rarely see. When Nora and I lived in the same city, we were facefriends. Heart to heart friends. Lunches, Bible studies, prayers, conferences, family dinners, heartaches, victories—we shared a lot of life. Eventually, God called Nora and her family to Florida, Indiana and finally Texas. Thank goodness for technology! I was catching up with Nora the other day. My dear friend asked about my family so I filled her in on the latest with my twenty-something sons and the status of my mother. I meant to text primary caregiver, but out came primary prayergiver. What do primary prayergivers do? 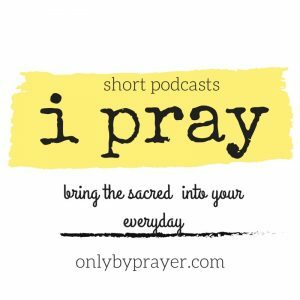 Who is a primary prayergiver? Prayer deeply affects the daily lives, health and destiny of individual people, families and nations. If we don’t pray for our families, our coworkers our nation, our world, who will? 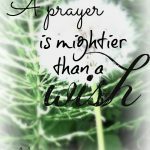 Prayer can be the difference between success and failure, strength and weakness, victory and defeat, and life and death. God has given us the responsibility, privilege and blessing of being primary prayergivers. We must pray continuously for those under our care. Get a time: Consistent prayer usually won’t happen unless we plan for it. I like to pray while I’m driving and in the evening for 10-15 minutes. Get a list: I used to keep prayer requests on little pieces of paper, which scattered across my vanity confetti! STRESS. 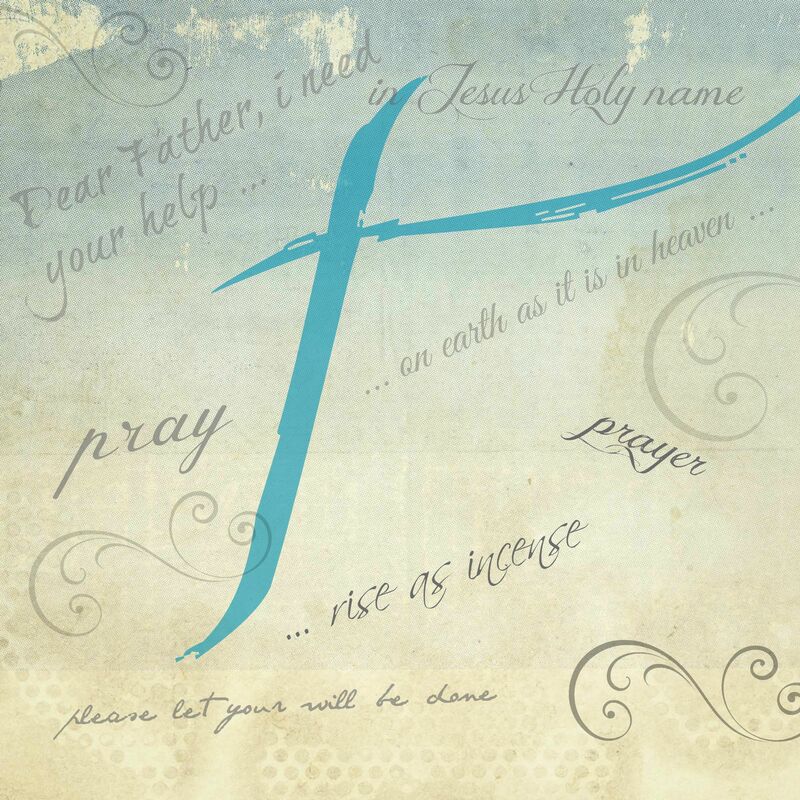 Then I discovered Prayer Notebook, an inexpensive prayer app, which changed my life. You’ll love it too! You can download it at the link below. Get praying: When someone has hurt you, be a prayergiver. When someone is hurting, be a prayer giver. When it seems there is no hope, and everything is lost, be a prayergiver. 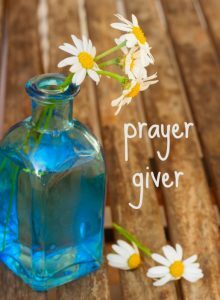 When someone is sick, lost their job or lost their child, be a prayergiver. Life is sweet. Be a prayergiver!